Kip A. Frey has a long history of running and investing in start-up companies, including Ventana Communications Group (sold to Thomson International), Accipiter (sold to CMGI) and OpenSite (sold to Siebel Systems). He was a partner at venture capital firm Intersouth Partners and has served on the boards of SciQuest (SQI) and Inspire Pharmaceuticals (INSP) and several other privately-held companies. Kip is a professor of Law and Public Policy at Duke University, where he directs the Program in Law & Entrepreneurship. He sits on several non-profit boards, including the Emily Krzyzewski Center and Durham Academy. Kip is a Phi Beta Kappa graduate of the University of Southern California and Duke Law School. Brian Hare is the Director of the Duke Canine Cognition Center and an Associate Professor in both the Center for Cognitive Neuroscience and the Department of Evolutionary Anthropology at Duke University. 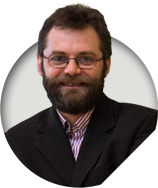 Brian has published dozens of empirical articles in peer-reviewed scientific journals; his research is frequently featured in national and international media such as the New York Times, TIME magazine, the New Yorker, and the BBC. In 2004, the Alexander von Humboldt Foundation named him a recipient of the Sofja Kovalevskaja Award, Germany’s most prestigious award for scientists under the age of 40. In 2007 Smithsonian Magazine named him one of the top 37 U.S. scientists under age 36. Brian’s first book, The Genius of Dogs, was released in February 2013. Prior to joining Dognition, Thede Loder served as CTO for eDataSource and was founder and CEO of Boxbe, Inc., a free easy-to-use inbox organizer service designed to eliminate email overload. He was co-founder of Leverage Information Systems, which produced the first open source Java-based application server. He joined Match.com as the company’s third technical hire in 1995 and helped to design, build, and launch the company when the online service grew to 85,000 members in its first year. Loder received an MS degree in Computer Science from the University of Michigan. He graduated Phi Beta Kappa with a BS degree in Mechanical Engineering from the University of Rochester. 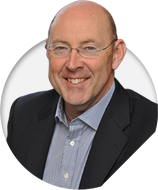 Jim joins Dognition with over 20 years of experience in Finance and Operations management. Much of his career has involved the formation and operations of emerging technology companies. 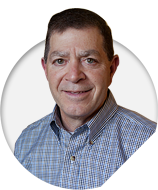 Most recently Jim held CFO/COO positions at EvoApp, Inc. and Zenph Sound Innovations. Previously he worked with the Council for Entrepreneurial Development (CED) and Covelight Systems, Inc., which was sold to Radware in May 2007. Jim also oversaw the merger of Pinpoint Networks and PowerbyHand into Motricity, Inc. As VP of finance and operations for OpenSite Technologies (sold to Siebel Systems in May 2000), he oversaw all operational aspects including IPO and M&A strategies. Ford holds a Masters degree in Management from Florida State University and a bachelor’s degree in accounting and finance from Gardner-Webb University. Vanessa Woods is an award-winning author and journalist. Her book, Bonobo Handshake (June 2010, Gotham Books) about research with bonobos in Congo, won the Thomas Lowell Award. In 2007 her book It’s True; Space Turns you into Spaghetti was named an acclaimed book by the Royal Society. 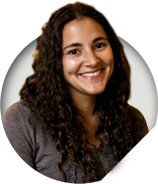 Vanessa is currently a Research Scientist in the Department of Evolutionary Anthropology at Duke University. She received her M.A. in science journalism from the Australian National University. 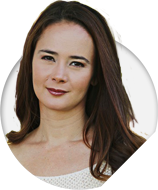 Vanessa has written for various publications including BBC Wildlife, New Scientist, and Travel Africa. In 2003, she won the Australian Science award for journalism. Vanessa’s most recent book, The Genius of Dogs, was written with her husband Brian Hare. Chief Science Officer, Canines, Inc. 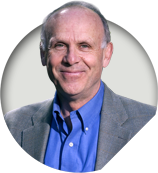 Chair, Scientific Advisory Board, Canines Inc.
Dr. Brian Hare received his Ph.D. from Harvard and is a member of the Center for Cognitive Neuroscience, which is a division of the Duke Institute for Brain Sciences. His publications on dog cognition are among the most heavily cited papers on dog behavior and intelligence. Dr. Juliane Kaminski received her Ph.D. in biological sciences from Leipzig University. She helped to found and lead the Max Planck Institute's Dog Cognition Study Center where she made a number of exciting discoveries about how dogs solve problems. 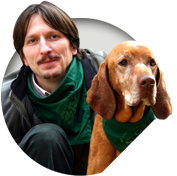 Dr. Ádám Miklósi founded the Family Dog Research Project in 1994. Widely viewed as the formative research center for dog cognition, the Family Dog Research Project is one of the largest dog research groups in the world. Dr. Laurie Santos is director of the Comparative Cognition Laboratory at Yale University. She received her Ph.D. in psychology from Harvard in 2003 and is now recognized as a leader in the field of animal cognition. 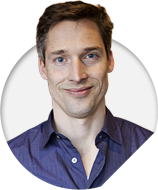 Dr. Josep Call is the senior scientist at the Max Planck Institute for Evolutionary Anthropology in Leipzig, Germany. He studied psychology at the Universitat Autonoma de Barcelona and received his Ph.D. in psychology from Emory University in Atlanta. Dr. Richard Wrangham began his research working with renowned primatologist Jane Goodall at the Gombe Stream Research Centre in Tanzania. He read zoology at Oxford University before receiving his Ph.D. in the field from Cambridge. Dognition has assembled a panel of highly respected thought leaders from a broad spectrum of dog-oriented disciplines, for the purpose of sharing ideas and providing feedback on Dognition's mission, products and practices. Dognition Experts regularly contribute their expertise in areas like canine health and well-being, training, service, and behavior. They will also contribute to Dognition member content, partner programs, and outreach services. Carlos A. López is founder and CEO of EDUCAN, the biggest European company specializing in canine education and trainers' instruction. Since the late 1990's he pioneered the field developing original training and educational protocols based on dogs' cognitive, emotional and social abilities. In 2004 Carlos wrote the Spanish bestseller Canine Cognitive-Emotional Training and in 2014 he published Your Dog Thinks and Loves You: Training Dogs is not as You Were Told. The success of his work has earned him the chance to lecture all over the Spanish-speaking world aiming at incorporating cognition within the training protocols applicable to various species like dolphins, sea lions or parrots, as well as to the coexistence between dogs and their human companions. New York Times bestselling author Tamar Geller has been called "a life coach for dogs and their people." She developed the "Loved Dog" training system, which focuses on observing, listening and coaching the relationship between owner and dog. A former Israeli military intelligence officer, Tamar now shares her considerable coaching talents with such dog lovers as Ellen DeGeneres, Oprah Winfrey and Jon Stewart. She is endorsed by the Humane Society of the United States. 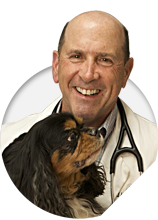 Richard W. Hawkins, DVM, is a small animal practitioner and owner of a five doctor AAHA-accredited small animal hospital in Durham, NC. He is current president of the North Carolina Veterinary Medical Board and a Key Opinion Leader for Merck Animal Health. Dr. Hawkins is Past President of the North Carolina Veterinary Medical Association, Board President of the NC Vet Medical Foundation, and a former member of NCSU’s Board of Advisors and the Admissions Committee for NCSU’s College of Veterinary Medicine. He has served over fifteen years on the Duke Institutional Animal Care and Use Committee. 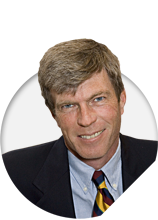 Dr. Hawkins is a graduate of North Carolina State University and Auburn University’s College of Veterinary Medicine. 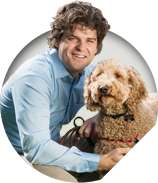 Since 1997, Paul Mundell has been the National Director of Canine Programs for Canine Companions for Independence (CCI), an organization that breeds, raises and trains assistance dogs for the disabled. He identifies and validates techniques to improve CCI’s ability to select, breed and train service dogs. 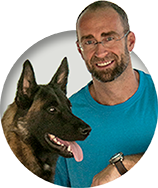 Paul has become an expert in applied animal genetics and breeding and for over a decade has led the breeding, development and training program for over 700 dogs annually. He has consulted with the United States Marine Corps (USMC) on a project to develop specialized search dogs to remotely detect improvised explosive devices. He also provides the USMC with expertise in the selection, training, conditioning and deployment of such dogs. 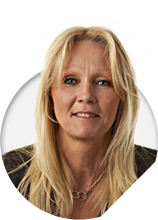 Nina Ottosson is a highly respected designer and groundbreaking inventor of intelligent puzzle games and toys for dogs. 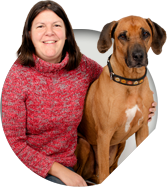 A pioneer in the dog games industry, Nina designed her first games in 1990, thereby creating a whole new category of toys that provide fun and engaging ways to stimulate and exercise dogs both physically and mentally. Through her eponymously branded company, Nina continues her relentless pursuit of designing new, fun and engaging toys and puzzles to delight dogs and their owners around the world. In 1996 Betsy Saul harnessed the infant technology of the Internet and molded it into one of the most successful Web businesses to date — while changing the way the public views shelter pets. Petfinder, a “social profit” company, is on a mission to see that no pet is euthanized for lack of a home and to increase the value of the family pet. Almost 15 years of consistent and steady growth has translated to over seven million unique visitors each month and over two million adoptions annually. Betsy was named by Woman's Day magazine as one of fifty "Women Who Are Changing The World." She splits her time among Petfinder, the Petfinder.com Foundation (where she is board chair), and the Alliance for Contraception in Cats and Dogs, where she serves on the board of directors. Victoria Stilwell is a world-renowned dog trainer and star of the international hit TV series It's Me or the Dog. Stilwell reaches audiences in over 50 countries with her philosophy of positive training methods. A best-selling author, she makes frequent media appearances and is widely recognized as a leader in the field of animal behavior. 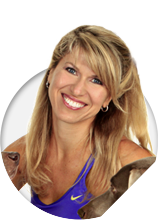 A passionate advocate for positive reinforcement dog training methods, Stilwell is Editor-in-Chief of Positively.com, the featured trainer for eHow Pets, and CEO of Victoria Stilwell Positively Dog Training, the premier global network of positive reinforcement dog trainers. Stilwell is committed to causes including animal rescue and rehabilitation, as well as increasing awareness of: dogfighting, animal abuse, pet overpopulation, and dog bite prevention. She is a National Ambassador for the American Humane Association and on the Advisory Boards of RedRover, DogTV, and Canine Assistants. Kyra's acrobatic Sundance Dog Team starred in thousands of live shows including a command performance for the King of Morocco; Disney’s Underdog stage show; Bravo TV's Showdog Moms & Dads series; circuses and halftime shows; co-host of Worldwide Fido Awards; and performances on The Tonight Show, Ellen, and more. 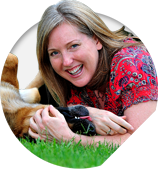 A world-renowned training expert, Kyra authored 7 books including the international bestseller 101 Dog Tricks, and hosts an award-winning DVD series. Founded by Kyra, “Do More With Your Dog!” encourages the integration of your dog into more areas of your life through training, dog sports camps, and the All-Star Performance Dog Team. Duke University's respected dog intelligence research community, and the surrounding Triangle's active dog-friendly community, makes Durham the perfect place to call home.